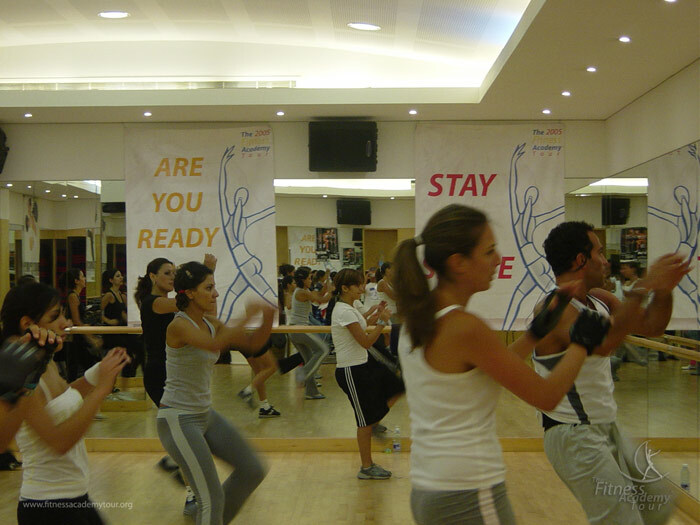 The Fitness Academy Tour was born out of the passion that the folks at Direct Marketing S.A. had for sports, a passion that they wanted to share. Their idea was simple: gather people around physical activity. 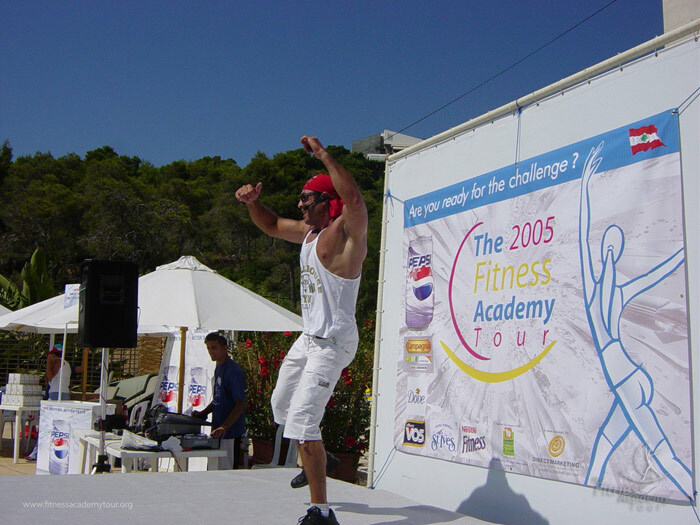 In 2005, that idea finally came to life in the form of the Fitness Academy Tour, a series of fitness events aimed at promoting health and exercise through group workouts. 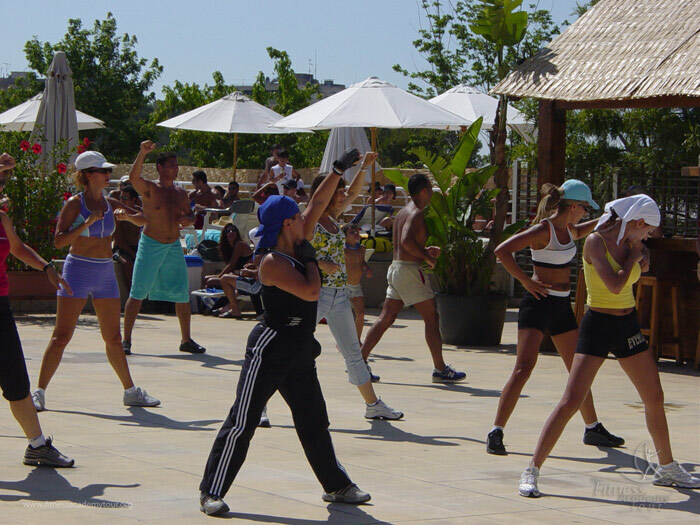 The very first event was held at Alyarz Leisure Club. 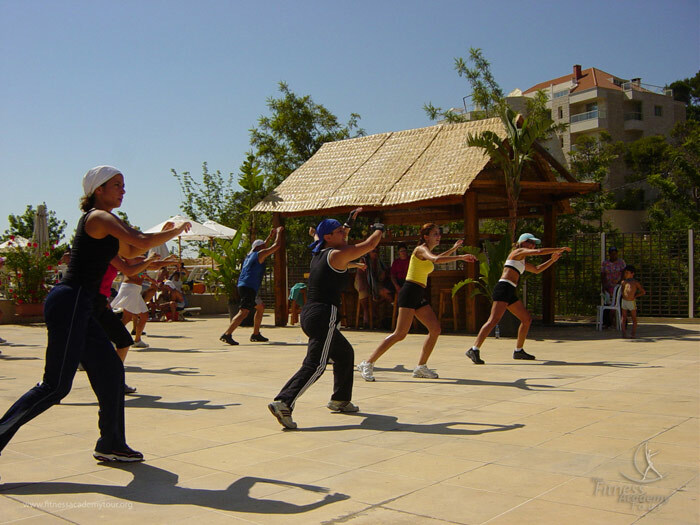 In the pinewood of Yarze, Baabda, people of different ages and fitness levels joined us for a variety of freestyle group exercises and boot camp workouts. The motivation to push oneself harder combined with the fun and camaraderie of training in a group contributed to making the tour an event to look forward to every year.